Snoring can be very disturbing and annoying to whoever sleeps in the same room with a person who snores. Usually, if not most of the time, the person who snores is not aware of how loud and how disturbing his or her snore can get while he or she is sleeping. The partner of the snorer or anyone who sleeps in the same room are the people who suffers more, since they are the one who can hear the loud snores. Good thing there are already natural snoring aids available in the market that can effectively reduce snoring or even totally eliminating snoring at night. 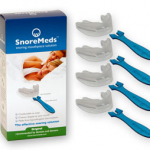 One type of snoring aid that is not invasive and is very easy to use is a anti-snoring mouthpiece. IPureSleep anti-snoring mouthpiece is a Class II medical device that needs a prescription from a dentist or medical doctor. 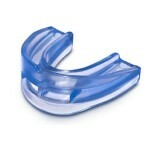 t is a type of retainer that is self-molded to help in decreasing snoring during sleep. This type of anti-snoring mouthpiece is cleared by the FDA to be used by many people. PureSleep works by slightly forwarding the lower jaw from its original position while a person is sleeping. Once the jaw is slightly forwarded, air can pass easily in and out from the lungs, through an obstruction-free airway. What PureSleep anti-snoring mouthpiece does is that it prevents that soft tissue found at the back of the throat from partially blocking the airway during sleep, since partial blockage or obstruction in the airway can cause vibration, which produces the snoring sound. Since PureSleep is a customized self-molded mouthpiece, it can be ready for use in less than a minute. Before molding the mouthpiece, it needs to be boiled for it to soften the material and the whole mouthpiece. Once it is soft after boiling, it can now be molded in the teeth for a perfect fit. Having and molding your own customized anti-snoring mouthpiece had never been easy as molding the PureSleep Anti-Snoring Mouthpiece. Most people who are prescribed to use PureSleep usually take about 3 to 5 nights of using the mouthpiece before getting used to wearing it comfortably during sleep. For the first few nights, it is normal to feel some discomfort. However, discomforts brought by PureSleep are totally normal, but if severe and continuous pain is felt, that will be considered as abnormal and needs to be checked by the dentist or physician.